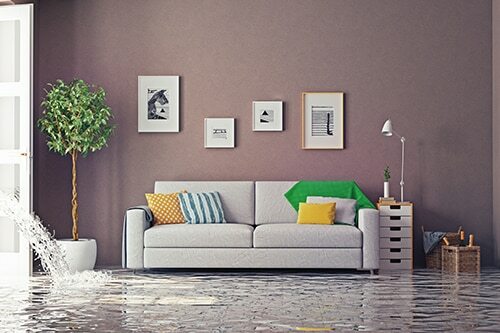 We know we’ve said this many times before, but avoiding insurance claims for water damage really is in everyone’s interest. Repeated claims for damage caused by overflows, leaking appliances and damaged pipes can lead to higher premiums or excesses, or even make it hard for you to have escape of water included in your cover at all. We work hard to find competitive renewal terms for all our customers, but sometimes the claims history can make negotiations very challenging. Latest figures from the Association of British Insurers show no let-up in the rising cost of escape of water claims. And tackling the rising costs of escape of water claims has been identified as a must be number one priority for the domestic property insurance market in 2018. It is, year after year, the most common cause of claims handled by our in-house claims team at Deacon*. It is a key concern because, if managers of a building make repeated claims then, sooner or later, insurers may apply conditions to the cover. For example, they may ask you to invest in steps to mitigate damage, such as automatic stopcocks that turn off the water if a flat is empty for an extended period of time. Even a small escape of water can lead to a big claim if there’s damage to flats below and finding the cause of the leak is problematic. And if you have a leak the last thing you want to discover is that your policy does not cover you for trace and access – a standard feature of the cover available through Deacon. If it is not included in your policy then your insurer will not pay for the costs of opening up floorboards or walls to find the source of leak. Nor will they cover making good any damage caused during the search: they will only cover the actual damage caused by the water. It is not unusual for trace and access to cost far more than redecorating water-stained ceilings and walls. How can you avoid escape of water? Our claims experience suggests that a block of flats built after 1990 is nearly twice as likely to report escape of water damage than one built from 1850-1990. Factors contributing to the prevalence and high costs of water damage claims we see will include: more plumbed-in domestic appliances; more central heating; homes having more bathrooms and toilets; more complex and hidden plumbing in the structure of the building; and the use of less damage-resilient materials such as chipboard. So, paying attention to all of these factors is your best strategy for avoiding inconvenience and potential increases in premiums. We offer more information HERE. Some people don’t think twice about annual boiler inspections – perhaps they should be encouraged to have annual plumbing checks? At the very least, you might want to check that everyone knows where their stopcock is and ideally have isolation valves fitted to inlets for appliances and cisterns. The sole purpose of this article is to provide guidance on the issues covered. This article is not intended to give legal advice, and, accordingly, it should not be relied upon. It should not be regarded as a comprehensive statement of the law and/or market practice in this area. We make no claims as to the completeness or accuracy of the information contained herein or in the links which were live at the date of publication. You should not act upon (or should refrain from acting upon) information in this publication without first seeking specific legal and/or specialist advice. Arthur J. Gallagher Insurance Brokers Limited trading as Deacon accepts no liability for any inaccuracy, omission or mistake in this publication, nor will we be responsible for any loss which may be suffered as a result of any person relying on the information contained herein.